Now Released: HARVEYS Little Mermaid Collection! HARVEYS New Little Mermaid Bag Collection! This past weekend, I attended and did an Instagram takeover for the launch party for The Little Mermaid x HARVEYS collection at HARVEYS headquarters in Santa Ana. Whenever HARVEYS has a new Disney collection, they have a release party at their HQ to celebrate with HARVEYS fans. Their launch parties are always so exciting and fun! With hundreds of Disney fans and HARVEYS fans excited to get to be the first to get a bag from the new collection, and get to meet the founders Dana and Melanie Harvey, plus do fun photo ops, the energy is always exciting at a HARVEYS launch party! When you walked into the HARVEYS space, they had their new Little Mermaid collection on display, with the soundtrack playing. Once you purchase a bag, you can head upstairs to get a bag signed by Dana and Melanie Harvey, then take a photo with them! How amazing is this Flounder bag?! Swipe to check out all the fun details! Having attended Disney x HARVEYS launch parties before, I must say this party was the best one yet! How can it not be? The Little Mermaid is a classic with such an amazing fandom. The bags are great for Disney fans, whether they want an overt or subtle Disney look, or even a bag for a Disneybound. HARVEYS’ designs always nail it, and deliver for Disney fans. While the bags were available to purchase at the launch party, the exciting news is that now you can find them online at shopHarveys.com – but hurry, I’m sure they will go fast since this is a particularly amazing collection. 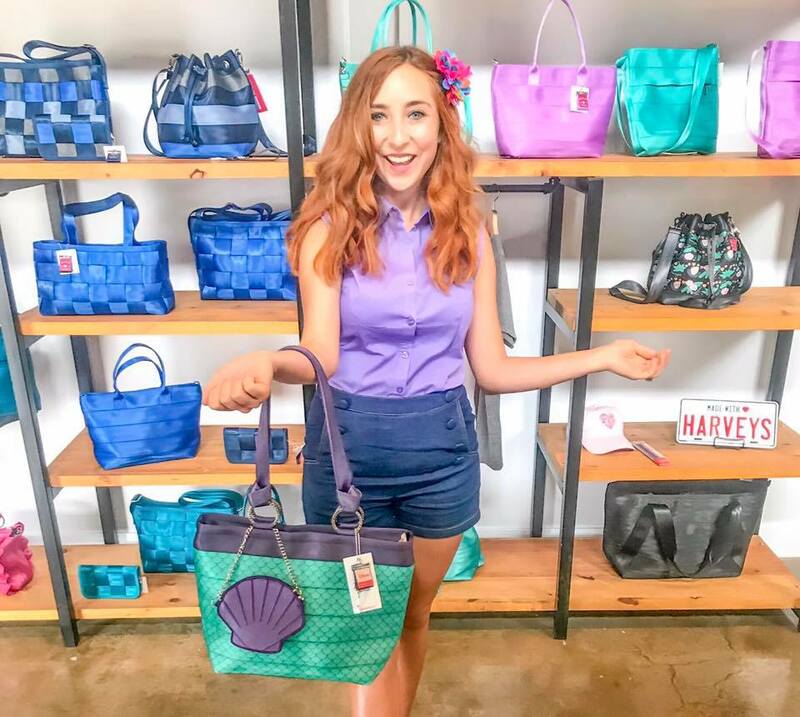 Which bag is your favorite from the HARVEYS Little Mermaid collection? Sneak peek 🐠🦀🐚🧜Harveys x Disney’s Little Mermaid collection release party on 6/23 from 12-3pm and online on 6/25 at 8am PST ! A Very Minnie Mouse Pool Party! My Picks for Toddler Summer Essentials: Snacks and Sunscreen! Harvey’s Launches Toy Story Collection!